The author posing. Badly. Photo – S. Thompson. I don’t like that photo. On the one hand it reminds of a trip spent in a beautiful place doing something I love. Looking at it I can almost feel the crunch of gravel under my boots and smell the tough little ‘Maquais’ shrubs. I feel much more strongly about the negatives though. I don’t mind playing the clown so the daft glasses are the least of my worries. I’m talking about the rucksacks. Yes, that’s plural. I’m talking about what was in the packs as well as strapped to the outside. I’m talking about the fact I’m on a trail nowhere near where I had spent months planning I would be. I’m human so I make mistakes. I’m not afraid of trying things but I absolutely detest getting things wrong. This may make me sound like a spoilt child but I completely thrash myself when I get things wrong. It’s my personality, and whilst it may not show on the outside, on the inside I’m being brutal with myself. Which is why I hate that photo. 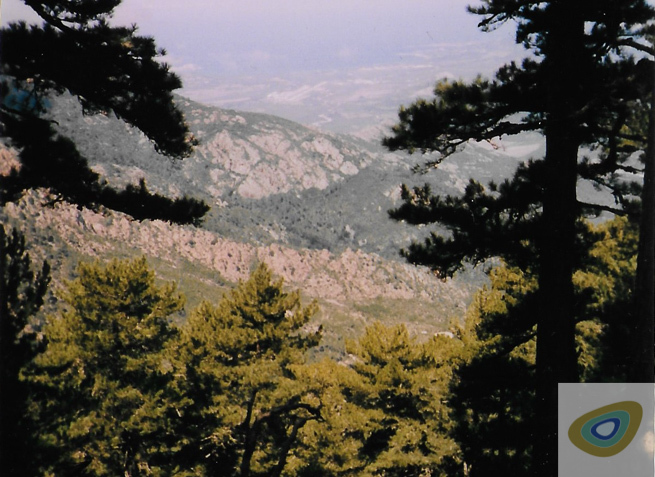 To give some background; I’m 18 and on a trail in the north of the French island of Corsica, the ‘Isle de Beau’ as it is often nicknamed. 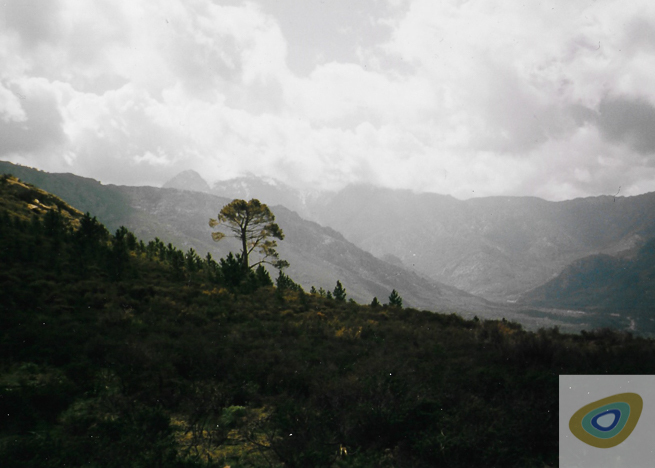 For anyone who hasn’t been to ‘Corse’ it is a fairly undiscovered beauty of pristine beaches in front of scrubland, under towering pines all looked over by some positively gnarly peaks. Anyone who has been will simply smile with their memories of the place. By the age of 18 I had spent probably just more than a year of my life on the island as my Grandparents had bought an old village home high up in the mountains when they retired. So holidays growing up for me were special times – family, beaches, and exploring. You can probably tell but I love the place – it simply feels like home. Which is why I planned to return on a hiking trip in my first year of university. (Holiday time of course). Above: classic walking terrain on the island. Photo – J. Bath. 1) Weight - Before leaving I spent hours trying to get everything into my rucksack. Eventually I settled on packing less important bits into a daysack which I thought I could finalise when I got to my Grandparents’ home. I distinctly remember as soon as the plane took off thinking that actually my Grandparents weren’t going to be on the island and I did not have a key for the house. Thus, James marching about with a full day sack on his chest for a couple of weeks. Obviously having a daysack on your chest is daft. It’s dangerous and on some of the trails in Corsica you need to be putting your feet in exactly the right place or it’s curtains. It’s tiring with much more chance of a daft twisted ankle. You need more fluid/energy. Your head is pulled forward so you don’t look at the beauty around you. Yes you’ll have a free workout every day but you look like a complete clot as well. Since that trip I have written a kit list for every single trip/course I have done. The list aspect appeals to my nature but it also helps me to remember everything as well as building excitement before I actually head out. Sad as it sounds I have a list of my lists and I learn from them. What did I take on this trip that I didn’t use? How could it be better? What can I get rid of or change? Let me take the daft glasses as a learning point – weighing but a few grams. They were a joke present from a flat mate who suggested she wanted to see them in use on my trip. Well think of it this way. Grams means kilos and kilos mean daysacks on your chest. I am now absolutely brutal when it comes to taking stuff out of my pack. There is a fine line between what you actually need and what is excess and experience will show you what works for you in which ever scenario or place. So get the lists going and update them. I am perhaps being a little harsh on myself with regard to the kit I know was in those packs. I was a poor student at the time with 1 sleeping bag and 1 pair of boots that I made fit every outdoor activity I did. Having worked for so long in the outdoors I now have a large selection of equipment, better quality and suited to the task in hand. So whilst I’d now carry an expensive down sleeping bag, back then I had a cheap military, heavy sleeping bag. The important thing is that I was actually out doing things and there is a difference in carrying weight that we have to at a point in time (due to being a poor student) vs stupid excess weight (daft glasses). 2) Food - Another thing that winds me up about the photo is I know how much food was secreted round my packs. I should have done more homework, especially given how well I knew the place anyway, and how good the local food is, but I didn’t want to take the chance of running out of food. If anyone is unsure as well, tins are heavy and do not make ideal hiking grub. 3) Weather (linked with point 4 below) - The French have a system of long distance footpaths known as the ‘GR’ trails. 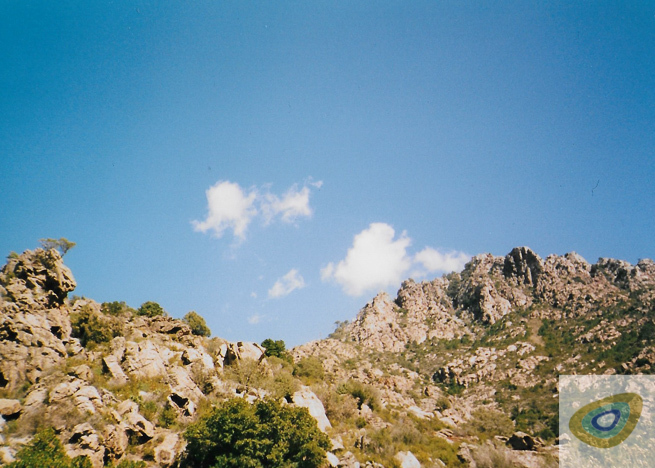 One of the tougher ones, the GR20 diagonally crosses Corsica and it was this I had planned to complete. I had already done a few day walks on the northern part of the trail and was somewhat acquainted with the terrain. Looking south from Bocca u Corsu towards the Cirque de Bonifatu. Photo – J. Bath. Much like my failings on the food front, I needed to do more homework with regard to the trail in the earlier parts of the year. 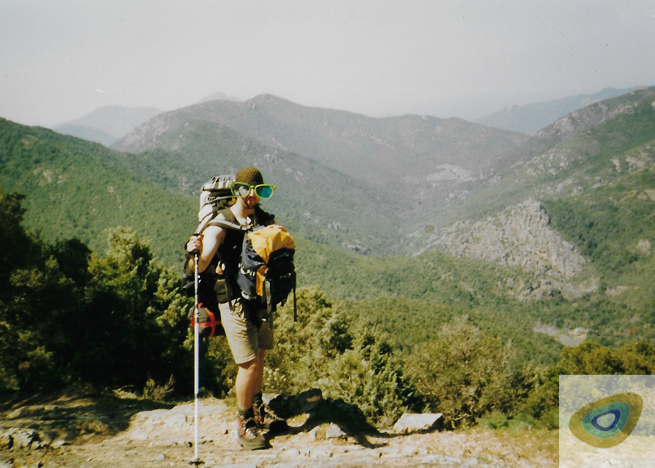 I had read all the literature about it and knew that, if the winter had been heavy, out of season (and I went fairly early in the year) the trail could be, ‘transformed into an extreme alpine route…’ ( D. Abram, Corsica Treking GR20, 2008). When I first glimpsed the start of the trail from the little train as it approached I knew instantly that it was a non-starter. It was a crushing moment and simply not a case of it might be a bit tough. The fact that the previous winter had been a particularly hard one meant that the trail was impossible and even in my naïve, excited state, I could tell this from some distance away. 4) Restraint - I was simply desperate to complete the trail. I felt I had to go at this point in my life and couldn’t wait. I had to go in my university leave. Surely it can’t be as bad as everyone says it will? It will be OK.
How often do we hear of people making long trips, even within our own Isles, and trying to cram a trip/day walk they wanted to do into a holiday window despite everything warning them to the contrary? How often does that end badly? I’m no longer desperate to do such things but simply enjoy being out. One thing is for sure; that mountain or that trail was there before me and will certainly be long after I’m gone so don’t be doing something daft in a rush. Whilst it may be disappointing, come back and do it properly when you can. 5) Specific fitness – aged 18 I was the fittest I have been playing lots of rugby, running most days of the week and heavily into callisthenics. I hadn’t really trained before leaving with a heavy pack on. As such I suffered. I’ve since learnt that if you want to do something, train for that specific thing. If I was asked to run or do press ups for 2 weeks then I would have been the man in Corsica. I wasn’t, and the steep terrain was brutal, even for a young fit thing. I now try to get out for a least a few days before doing anything specific now. Walking trip? Then get out with your pack and boots again. Get your feet, legs, shoulders and mind toughened before the real event. 6) Mental toughness – ‘I can’t go another step further.’ ‘I can’t do it.’ ‘I don’t want to.’ ‘I wish I was somewhere else.’ How often do we hear things like this said in the outdoors or everyday life? I find the mind absolutely fascinating – the power we can harness from within our own heads is hugely impressive – either to the negative or positive. Whenever we do anything tough, it’s almost a default position to say to yourself ‘I wish I was somewhere else.’ Whenever I say this in my mind, I have trained myself to instantly say out loud, ‘I want to be here.’ No matter how miserable, cold, wet etc I make a positive decision to enjoy the moment, or at the very least, not drip about it. I find it makes me tougher, and the enjoyment after the event is immense. I was already learning about myself, and still am obviously, but on this trip I remember with a smile some tough, tough moments that I look back on with satisfaction. Soon to leave the treeline looking back towards the Golf de Calvi. Photo – J. Bath. After a day sulking/recalibrating on the beach I got cracking on another but lower trail starting from the same place. And what a trail and what a trip. Even getting caught out by a wild fire on the last ridge after two weeks of walking – but that’s another tale. I have changed a lot since these photos were taken. I’ve learned a lot as well. I actively try and learn from my mistakes. I make lists and do my homework. Don’t be desperate to squeeze a trip into a window you know won’t work. But, do get outside, have fun and challenge yourself. I’ve still unfinished business with the GR20 but I can take my time now. And I’ve no idea what happened to those glasses. James Bath is a Senior Instructor at Frontier Bushcraft and has worked with Frontier Bushcraft since 2011. He has been involved with the instruction of bushcraft since 2005. From a family of teachers, James has instructing in his blood and, whilst always still learning himself, is passionate about passing knowledge onto others where he can - his ‘unique’ and oft brutal sense of humour/sarcasm readily being deployed to hammer a point home. In the early days, my biggest mistake was rushing from point A to point B. Even while walking I’d be thinking ‘when I get to tonights spot I’m gonna do this and this and this……’. I couldnt get to wherever ‘there’ was fast enough. By the end of the days walking, I was often exhausted. More exhausted than I should be for the tasks in hand, once with almost lethal consequences……. I arrived at my spot. Sweaty, breathing heavy a bit and tired. Losing the light, Id left it too late n choosing my spot in the middle of nowhere. My own ‘Spot X’. I had so much to do, but too little time. I threw up my tarp, rolled out my sleeping bag etc. Rush rush rush. Now for fire. I pulled out my axe. I kinda yelped and dropped the axe. Grabbing my thumb tight in my right hand I darent look at it. It didnt hurt yet but I just knew the throbbing would come. I cursed myself very strongly for some time. I took a peek. Blood ran from the small deep cut and then it started to hurt. I cursed some more. I pressed the wound against my trouser leg and thank god I kept my small med kit in my right trouser pocket. I tore at it with my teeth until the dressing fell out, which I then clamped hard onto the wound. I sat on my backside for ages keeping the pressure on. After a while the bleeding had stopped and I was able to clean and dress the wound properly. It was a deep cut but only about an inch long, diagonal across the thumb knuckle. I used some sutures to close it and strapped it.